Now condensed to a single volume, this 10th edition contains new chapters on topics such as epigenetics, metabolomics, and sports nutrition.The remaining chapters have been thoroughly updated to reflect recent developments. Suggested reading lists are now provided for readers wishing to delve further into specific subject areas. An accompanying website provides book owners with access to an image bank of tables and figures as well as any updates the authors may post to their chapters between editions. 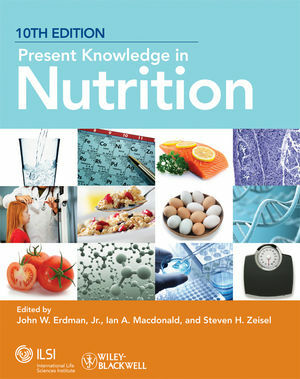 Now available in both print and electronic formats, the 10th edition will serve as a valuable reference for researchers, health professionals, and policy experts as well as educators and advanced nutrition students. Ian A. Macdonald, Professor of Metabolic Physiology, University of Nottingham Medical School, School of Biomedical Sciences, Queen's Medical Centre, Nottingham, United Kingdom. Dr Macdonald has over 30 years experience of teaching nutrition to medical, pharmacy and dietetics students and is an internationally recognized expert in human energy and macronutrient metabolism research. Specific research interests relate to nutrition and metabolism in obesity, exercise and ageing, with additional interests in the physiological effects of nutrients such as flavanoids on the human cardiovascular system. Now condensed to a single volume, the 10th edition contains new chapters on topics such as epigenetics, metabolomics, and sports nutrition. Other chapters have been thoroughly updated to reflect recent developments. Suggested reading lists are now provided. An accompanying website provides book owners with access to an image bank of tables and figure as well as any updates the authors may post to their chapters between editions. Written by nearly 140 expert authors from 14 countries around the world. An essential reference for researchers, health professionals, policy experts, educators and students.